The Nikkei managed to close higher after a choppy session. 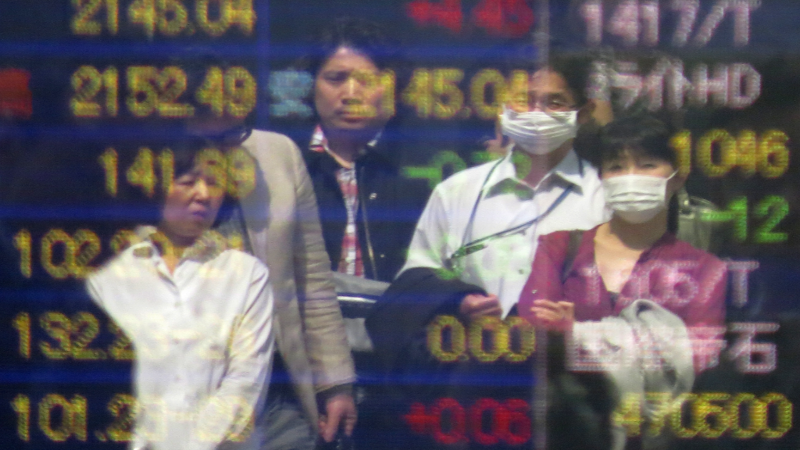 After a bumpy ride, stocks in Japan closed with a small gain on Friday, recovering from a deep plunge the day before. The Nikkei popped up by over 3% in morning trading, fell by over 3% in the afternoon, but then recovered at the end of the day to close with a 0.9% gain. 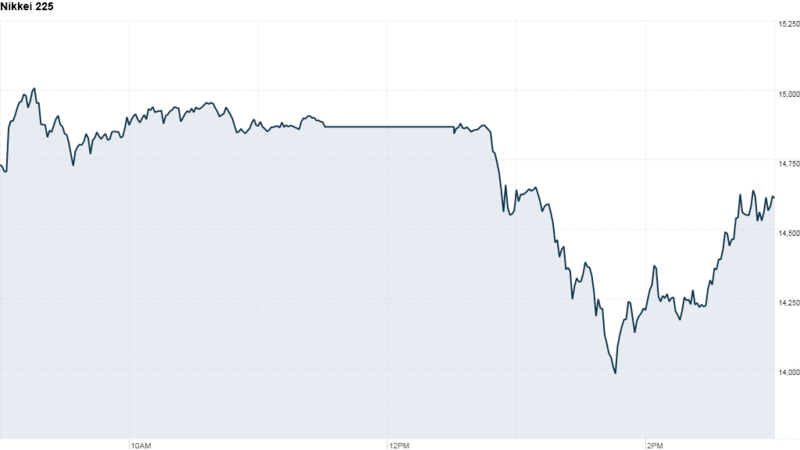 In China, the major indexes were mixed. The Hang Seng dipped by 0.2% while the Shanghai composite index closed up by 0.6%. The steadier tone in Asia was reflected at the start of the trading day in Europe. Germany's DAX moved up by 0.3% and the FTSE 100 was holding around Thursday's closing levels. On Thursday, Tokyo's Nikkei fell 7.3% -- the biggest one-day drop since the 2011 earthquake, tsunami and nuclear disaster shook Japan's economy. The sharp plunge spooked investors in China and Europe, leading to sizable stock market losses around the globe. In the United States, stocks clawed back from steep losses to close modestly lower. Thursday's sell-off was triggered by weak economic data from China that showed manufacturing slowed for the first time in seven months, as well as mixed signals from the Federal Reserve about when it might start dialing down its bond-buying program. "What we have seen is investors taking profits off the table and reducing some of their exposures to protect their portfolio in case the move we [saw Thursday] is a precursor to a broader market correction," said Joshua Raymond, chief market strategist at City Index. Many market analysts had been saying for weeks that the Japanese market was due for a correction after running up more than 70% in less than 12 months. Central banks, including the Bank of Japan, have been a big driver of the bull market as they continue to promote loose monetary policy.